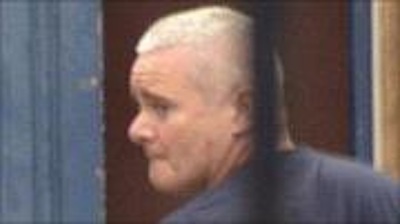 The 53-year-old was held in connection with alleged meetings of Provisional IRA members arising from the stabbing death east Belfast man Robert McCartney in 2005. The decision to charge Wilson with membership of the IRA, and addressing a meeting in support of the IRA, was greeted with surprise in Belfast. But Friday’s decision by District Judge Fiona Bagnall to refuse him bail -- consigning him to Maghaberry prison, and the company of either loyalist killers or disgruntled republican ‘dissidents’ -- caused shockwaves at Stormont. The charges stem from alleged meetings held following a fatal knife-fight outside a city centre bar seven year ago Mr McCartney’s family accused Provisional IRA members of being involved in the incident. Mr McCartney’s sisters and his former partner now claim that they subsequently met an individual known to them as ‘Padraig’, who said he was a member of the IRA Army Council, and was willing to help them. They believe that they have now discovered his full identity through internet searching, and called for his arrest. He is not accused of any other involvement in the McCartney incident. In a hand-written statement, he has denied ever being an IRA member or having any involvement in an investigation into the McCartney murder. Although no-one was ever convicted of the knife attack in which their brother died, the sisters’ high-profile media campaign brought international political pressure for the Provisional IRA to disband. Now Wilson’s arrest, seven years later, has dramatically raised the possibility of retrospective or historical charges against Sinn Féin figures. Hundreds of party supporters gathered to protest on Monday in defence of a man who now works for the organisation as a political manager. A number of senior Sinn Féin members attended the protests, including Bobby Storey, Sean ‘Spike’ Murray, former Stormont minister Caitriona Ruane, West Belfast assembly member Pat Sheehan and South Belfast assembly member Alex Maskey. Sinn Féin Policing Board member Gerry Kelly described the decision to charge the 53-year-old with IRA membership as “politically motivated”. He said party members felt “palpable anger” at the arrest, but did not say he would walk away from the Policing Board, an oversight panel which regularly holds meetings with PSNI chief Matt Baggott. “We are in there to make a difference, we are trying to make that difference, it has made it very difficult in the Policing Board and indeed on the issue of policing and that is far as I will go at this particular point,” he said. He described the decision to arrest Wilson as “bizarre” and “political”. “You will remember he (Wilson) was in charge in [the H-Blocks] around the time of the Good Friday Agreement,” he said. Mr Kelly suggested that some PSNI members are involved in “anti-peace process activities”. “These are the people who have been fighting against the new beginning to policing,” he said. During a subsequent hearing at the High Court the following day, party colleague Mitchel McLaughlin argued that Wilson had played a key role in the peace process and been part of delegations that met with the 26 County, British and US governments. Bail continued to be opposed by the prosecution, due to an alleged risk of interference with witnesses, but they admitted there was no evidence to support the claim. Neil Fox, defending, attacked the strength of the case. “The identification process has been where Google searches took place. That in itself is objectionable,” he said. 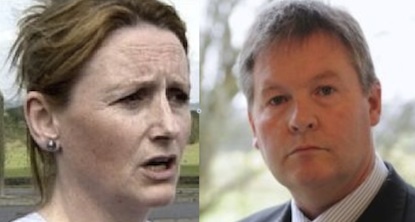 Bail was granted by the High Court’s Justice Horner, who ordered Mr Wilson to report to the PSNI twice a week. 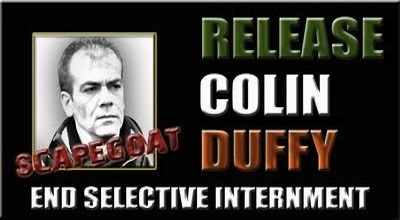 Judge Gemma Loughran released Mr Duffy and another man on Sunday evening after the PSNI refused to disclose alleged “intelligence”. The men were arrested on Friday in connection with the shooting death of senior prison official David Black. Lawyer Kevin Winters said the two men would be “issuing High Court civil actions for damages for wrongful arrest and unlawful detention”. It will be Duffy’s second legal challenge to illegal detentions, as another case of his is set to go before the European Court of Human Rights. Mr Duffy has been a routine target of Crown force harassment throughout his adult life, and a victim of a miscarriage of justice and a litany of wrongful arrests. In 1999, his defence lawyer Rosemary Nelson was assassinated. Earlier this year, and after almost three years held without bail, he was finally acquitted of the 2009 ‘Real IRA’ attack on Massereene army barracks. He had been held in PSNI custody for a record 13 days before being charged in connection with that attack, in respect of which his lawyers are now taking a case to the European Court of Human Rights. Speaking after his release on Sunday, he said: “They may come back and arrest me again but the court has ruled that without evidence my arrest was unlawful. 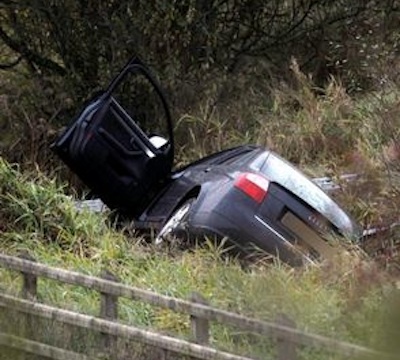 He said the PSNI “seem to think they can do what they want”. “Even when directed by the court they refused to present us with this alleged intelligence,” he said. Tony Taylor, a leading member of the Republican Network for Unity (RNU) was being taken to Derry Courthouse, where supporters had been hopeful he would be released at a court hearing due to a lack of evidence to hold him. But as he was about to leave the prison, a ‘strip search’ turned into a severe beating at the hands of warders, and he was left with broken bones in his hand and wrist. An eight-strong prison riot team are understood to have smashed his face into the side of a prison van, and held him down while he was kicked and punched. His handcuffed hands were twisted up his back, leaving him with broken bones in his hand and wrist. As he was being taken to a hospital, and despite his injuries and considerable pain, he was again subjected to a forced strip-search. Members of the RNU believe the beating was a vindictive response to a fatal gun attack against prison warder David Black last week, and timed to ensure that Mr Taylor would not be released. “It is our belief that prison officers were aware that Tony was on the verge of release; the day of his last hearing coincided with the death of David Black and on that occasion anger on the faces of prison officers surrounding Tony was apparent. “RNU were concerned from that point on that Tony would bear the brunt of their aggression. “This morning it appears that Maghaberry staff did in fact take their aggression out on a lone, vulnerable protesting prisoner, and as a result he was denied the opportunity to face court and gain his rightful freedom. They have urged Secretary of State Hillary Clinton, Congressman Peter King, who chairs the Congressional Friends of Ireland, and Richard Neal of the Friends of Ireland committee to lobby the Dublin and London governments. In their letter Mr McGuinness and Mr Adams said her human rights had been breached amid concerns she is not fit to stand trial. Mr Adams was travelling to the US this week to lobby for support of Sinn Féin’s campaign for border poll, a proposed Six-County ballot on Irish reunification. “Mrs Price McGlinchey has been held in virtual solitary confinement since her arrest in May 2011 and is very ill,” they said. Ms Price’s condition has deteriorated to the point of hospitalisation as a result of being held in isolation, firstly at Maghaberry [all male] Prison and subsequently at Hydebank Women’s Prison. “Marian Price McGlinchey has been held in virtual solitary confinement by the British Government since her arrest in May 2011,” they wrote. “Sinn Féin is very concerned about the manner and conditions in which Mrs Price McGlinchey has been detained. “We believe that her detention is unjust and runs contrary to the principles of natural justice. “She has been detained without trial on the basis of secret reports by British intelligence agencies. ASSEMBLY ‘SPITE’Sinn Féin also backed former party leadership figure turned independent, Gerry McGeough during a bitter debate on the high-profile republican at the Stormont Assembly this week. 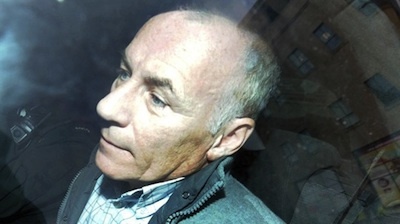 After standing for election as an independent to the Assembly in 2007, Mr McGeough was suddenly arrested in connection with an IRA gun attack dating from 1981, and returned to jail. 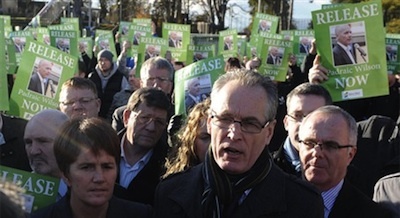 Sinn Féin said McGeough’s incarceration was political and unjustified. Speaking on a unionist motion in support of Mr McGeough’s alleged target in 1981, former British [UDR] soldier Samuel Brush who is now a DUP councillor, Sinn Féin’s Mitchel McLaughlin said Mr McGeough should have been protected from arrest by the 1998 Good Friday Agreement and the 2001 Weston Park Agreement. “It is a matter of record and indeed long before he was rearrested he made clear his support for the peace process, he made clear that his war was over and that we were in a post-conflict scenario so his entitlement under the Weston Park Agreement (2001) was quite flagrantly set aside,” he said. DUP leader Peter Robinson described Mr McGeough as “a bloody and evil terrorist who sought in a cowardly fashion to take the life of a public servant”. Dungannon and South Tyrone Council, of which Mr Brush is a member, last month joined a number of other councils across Ireland that have called for Mr McGeough’s release. The motion infuriated the DUP and prompted this week’s Assembly motion, which passed with the support of the main unionist parties. In a response from Maghaberry, Mr McGeough said the “surrealism” that pervades the Stormont Assembly had been “laid bare”. “As the paragons of the DUP engaged in a pointless hour-and-a-half-long hate-filled sectarian tirade against me, more than 320 job losses were being announced in Ballymena, one of the North’s last Unionist strongholds. PROTEST ARRESTThe attack took place just days after a series of international protests were organised by Republican Sinn Fein in protest at the abuse and criminalisation of republican prisoners.